If you love home-baked bread, fresh from the oven and dipped in olive oil or slathered with creamy butter, then join us to discover just how simple it can be to recreate this regularly at home. 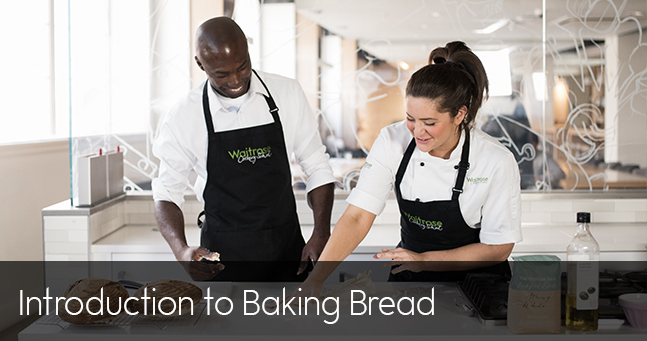 On this hands on cookery day, you will knead and bake your way to perfection as you learn the fundamentals of breadmaking. Starting with the humble white loaf, you'll then bake the ultimate rosemary and garlic focaccia and some glorious malted grain rolls. Our chefs will guide you through each step of the recipe, from kneading and shaping to proofing and baking. See how a few ingredients transform into your own fresh bread! The day will also include a delicious lunch with wine.